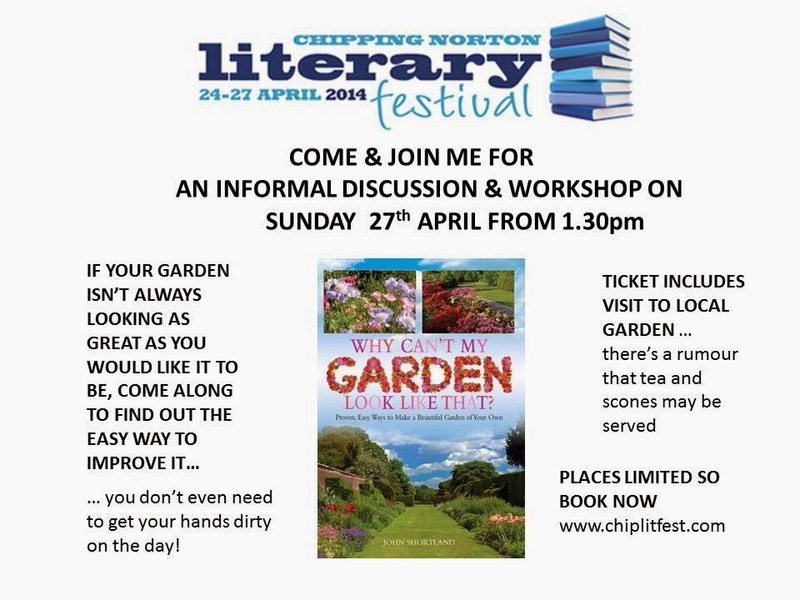 If you are disappointed or disillusioned with your garden – or just not too sure how to begin – then this may be the answer: come and join me at the Chipping Norton Literary Festival next month. This entry was posted in borders, ChipLitFest, Chipping Norton, design, gardens, invitation, literary festival by johnshortlandwriter. Bookmark the permalink.